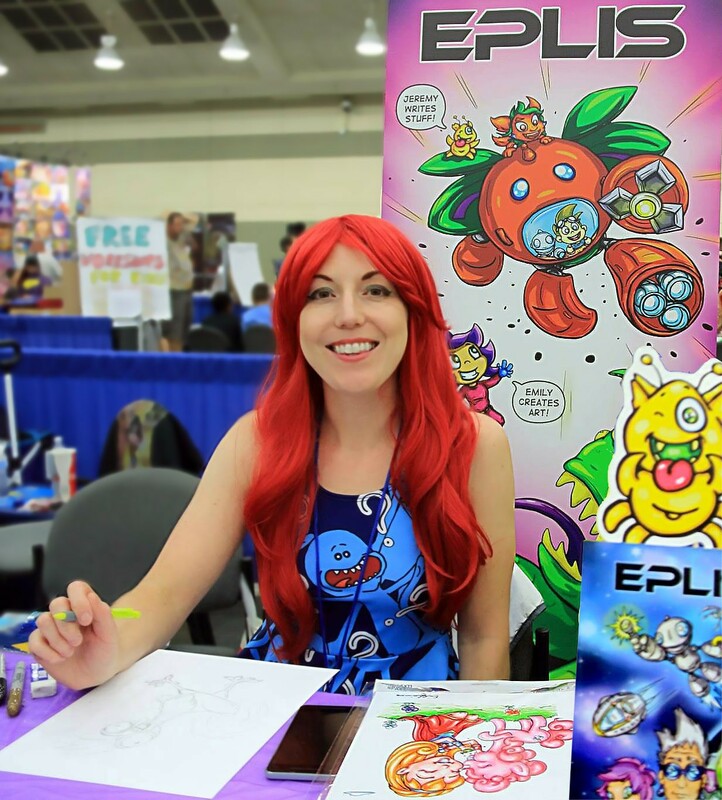 Comic artists, creators, and dealers will be at the Northeast Comic Con & Collectibles Extravaganza March 4 & 5 at the Hanover Mall Event Center. You’ll find a high-quality abundance of a variety of genres and styles including silver, gold and modern age and original art. 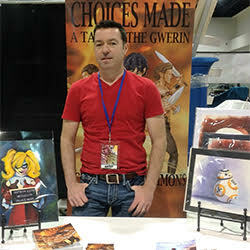 NEComicCon’s Mission is to show the next generation where the careers are in the creative arts. We provide them role models who chose these paths and are willing to answer questions, review portfolios, and give helpful advice. Educators, writers and artists, Alex Simmons (Archie, Blackjack), Mike Lopez and Garrison Eckerson (Life’s a Beach), offer guidance to young folks in comic creation and exploring imagination. Comic strip artist Guy Gilchrist (Nancy, The Muppets), Disney Animator and artist Philo Barnhart (The Little Mermaid, Beauty & The Beast, Secret of NIMH) and Teenage Mutant Ninja Turtles artist Steve Lavigne bring some heavy weight talent to the show from comic art fields outside of the traditional super hero comic book genres. Independent comic artists are showing that the next big thing may be something you’ve never heard of before. Local independent comic publishers like Bad Kids Press and HB Comics present new titles. Independent artists like Johnny C, Emmanuelle McGowan, Karen Gosselin and Jesse Lundberg present new concepts and characters. There will be plenty of vintage comic books for sale. These comics will be presented by knowledgeable dealers such as Comicazi (Somerville MA), Rubber Chicken (Bellingham MA), Comically Speaking (Reading MA), Arachknight Comics (Warwick RI), M&T Comics (Hammondton NJ), Bedrock Comics (Framingham MA) and Atomic Dimestore (Centerville MA) among others. You’ll also find all forms of pop culture, toys, actions figures, trading and gaming cards, celebrities signing autographs, cosplay, video games and lots more family fun. TV’s Batman and Robin will be appearing in person, Adam West and Burt Ward, along with the Batmobile, Batboat and Batcycle. Autographs and photo ops with the dynamic duo will be available all weekend. Hanover Mall Event Center is located on Route 3, about 15 miles south of Route 93, at Exit 13 (Route 53). Plenty of free parking, and Walmart, Sears, Macys and lots of restaurants next door. Joe St. Pierre’s outstanding comic book career began in the early 1990’s as a penciller of Rai during the first era of Valiant Comics. 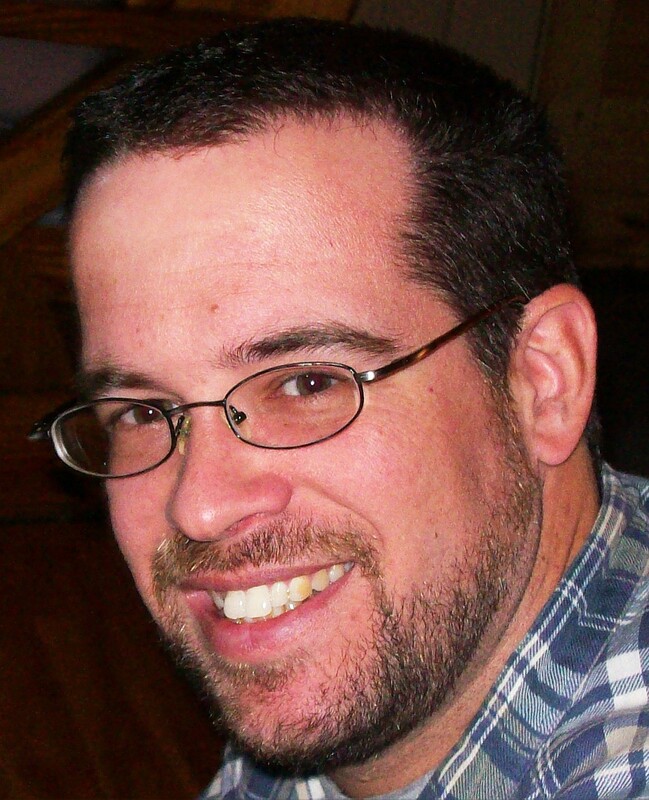 Joe has also worked as a penciller/writer for Marvel, DC, Image, IDW and Dynamite. Joe is credited for numerous illustrations featuring Spider-Man and the Spider-Man family. 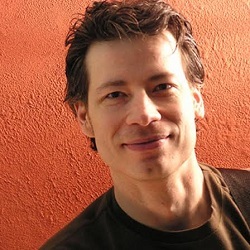 Guy Gilchrist is an American cartoonist, animator and comics artist, along with being a country musician and songwriter. 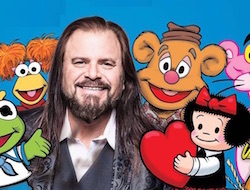 He has worked on "Your Angels Speak," "Night Lights & Pillow Fights," "Screams," "The Poetry Guy," "The Muppets" and "Teenage Mutant Ninja Turtles." Between 1995 and 2018 he continued the internationally recognized comic strip "Nancy." 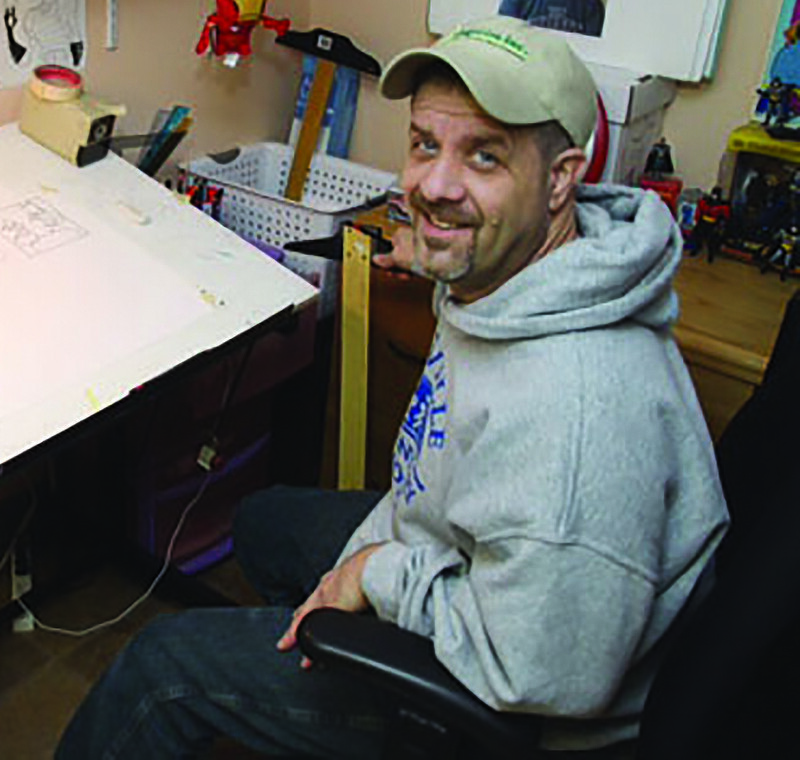 Paul Pelletier has been drawing comics professionally for over 25 years. His career began after graduating high-school in his home state of Maine. At this time, he worked odd jobs to pay the bills and drew comics in his spare time for several different small Maine comics companies (often for little to no money). These included Zen The Intergalactic Ninja, Hammac Publications and Alpha Productions. After four years of hard work, he finally landed the assignment that allowed him to do comics full time; Malibu Comics' "The Ex-Mutants". 25+ years later and he's still working steadily in the industry, drawing comics. 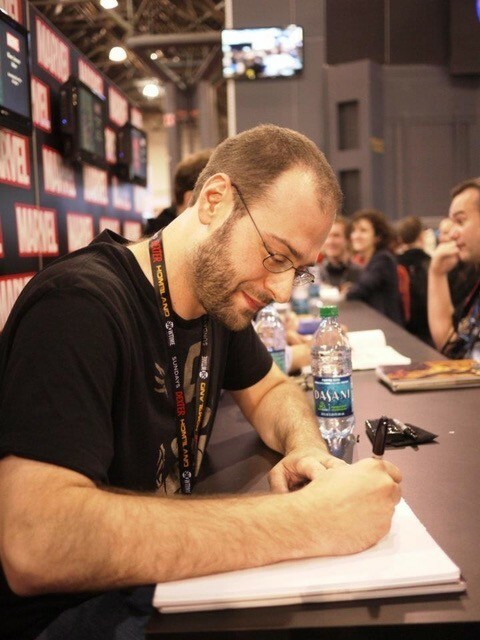 He's worked for Marvel Comics, Crossgen Comics and DC Comics, and his work has been seen in such titles as The Incredible Hulk, Aquaman, Fantastic Four, Flash, Wolverine, Cyborg, Titans, Guardians Of The Galaxy and many, many others. He is currently drawing Batgirl for DC Comics. 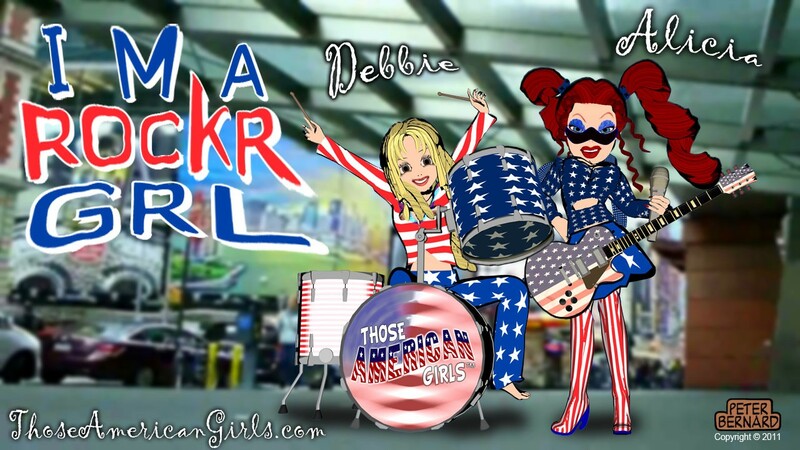 Peter Bernard is creator of an entire stable of imaginary cartoon rock bands, including Those American Girls. He also writes and reads the Scary Good NYC podcast and internet video show. 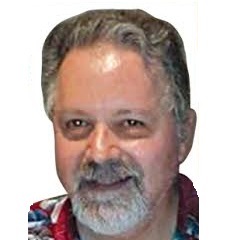 Peter will be shooting segments at the convention for Debbie American's new cartoon talk show, which will co-star YOU! Aaron Bolduc has been a professional artist for ten years. Primarily self taught, he has been developing his technique to produce fan art, concept art and commissions in a variety of styles. While his specialty is in pencil and ink drawings, Aaron has been steadily producing digital pieces with a keen eye for color. In addition to one of a kind commissions, Aaron has illustrated multiple issues of Soulbinder, book covers for Amphibian Press, and comic book covers for Advent Comics. You can find his work on his website, aaronbolduc.com, Instagram (@alphaazieru), and Twitter (@AaronBolducArt). 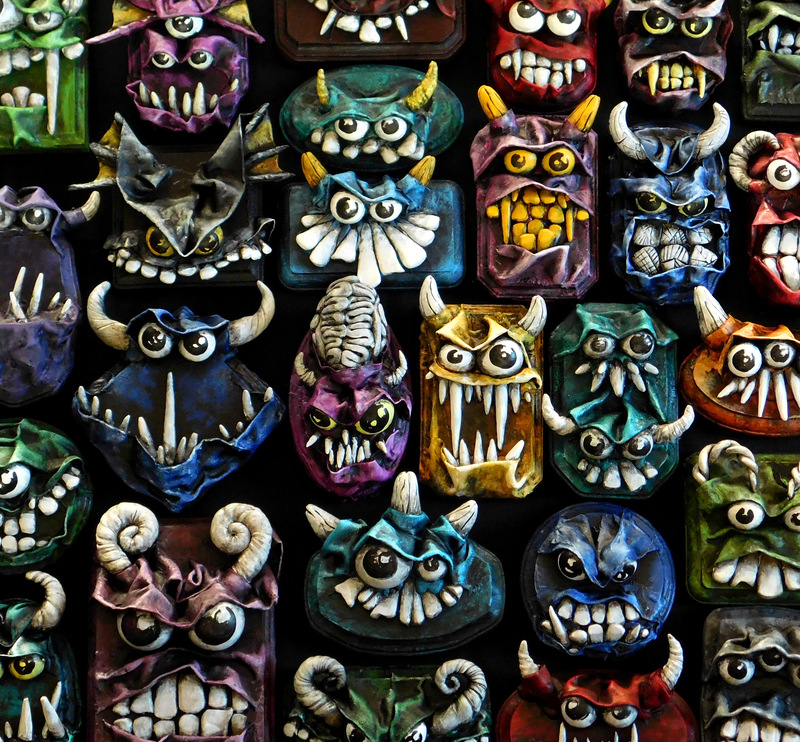 Shiv is an illustrator, character designer, animator, and comic artist with a penchant for weird stuff. Their first comic is called Leary and is about weddings, drinking, and the devil. 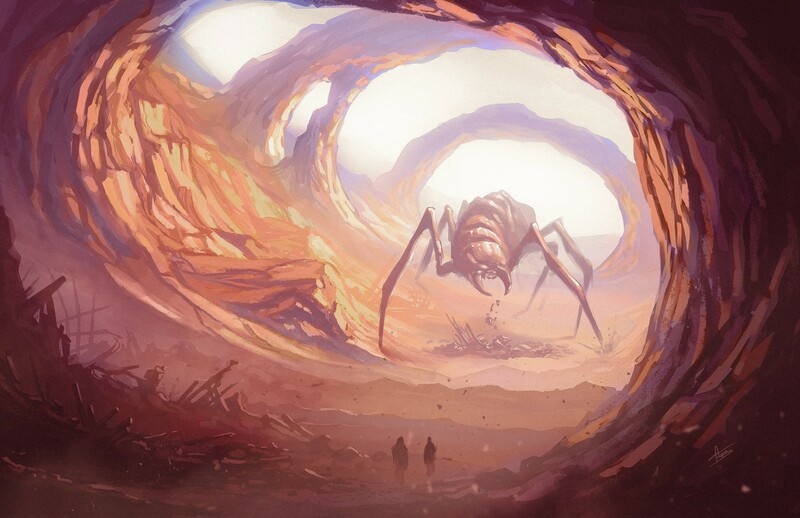 Shiv is currently working on an intergalactic treasure hunting comic called Seekers of Infinity. Come by and see what's up! 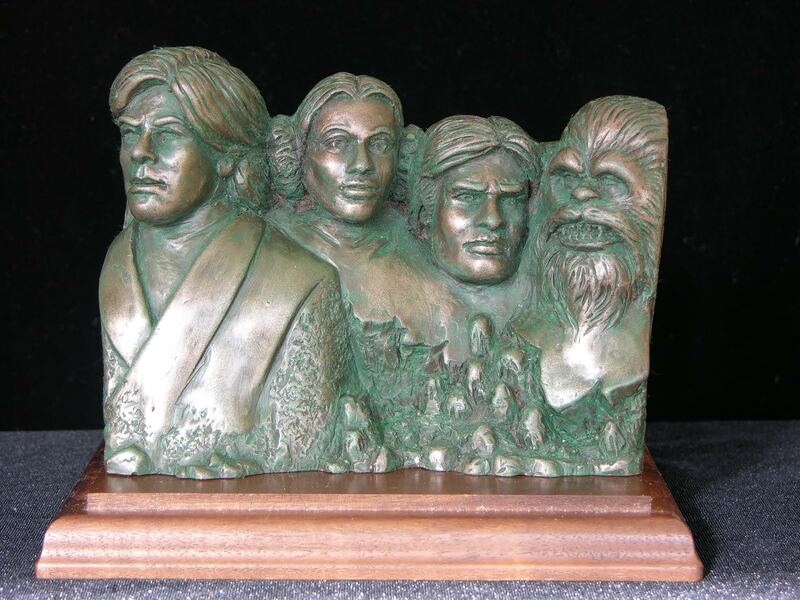 Sculpture artist for Universal Monsters and Star Wars Action Figures, along with numerous other characters. Sam Miserendino is an attorney by day, author by night, and father 24/7. It was in this last role that Sam was inspired to write about beer-drinking bunnies and bong-smoking bears. After reading books about carb-addicted moose, mice and pigs to his son and daughter for the millionth time, Sam's thoughts drifted to other animals with other addictions. 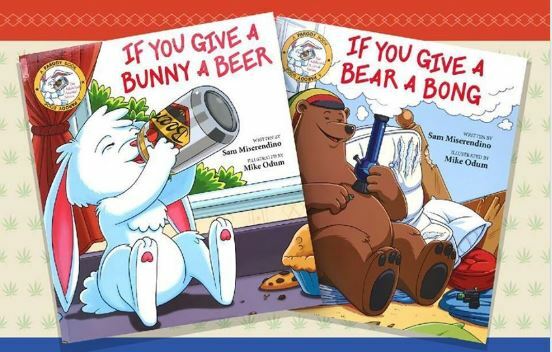 If You Give A Bunny A Beer is a heartwarming, cautionary tale about the dangers of mixing alcohol and small mammals and If You Give A Bear A Bong reveals what happens when a boy and his bong meet a bud-loving bear. Trained in botanical illustration, Scott has taken his passion for both fine art and fan art, and merged them into one genre. Scott is also the author of Choices Made and Broken Ties, and the upcoming novel to be published in 2019, The Chosen, all part of the Gwerin Series of LGBT fantasy adventure novels. 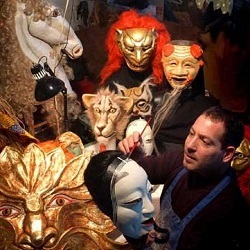 Scott’s work can be found at the Dryden Gallery and the Providence Art Club, as well at various Cons in the area. 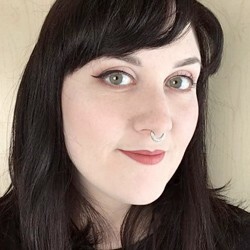 Erin is an illustrator, comic artist, painter, and graphic designer who enjoys indulging fandom passions with fan art and original, comic-inspired character designs. Actively fighting the starving-artist mentality, they create new content every day and spends the entirety of their days either scribbling on a tablet, painting on a canvas, or studying-up by reading comic books. Their freelance endeavors are supported by one husband and two puppies, who often remind Erin to stop drawing and give them some stinkin' attention every once and a while. 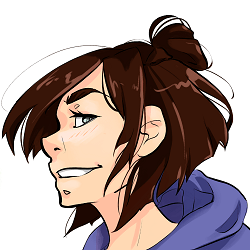 Erin offers prints, stickers, pins, original paintings, and commissions a'plenty to perpetuate your current-obsession! Take a gander at their Etsy (etsy.com/shop/ErinScribbles), Instagram (erin_scribbles), and Facebook (erinscribbles)! I’m a full time police officer, I’ve been on the job for twenty years. I’m married and have five daughters and one son. It is my passion to write and create comics, especially my own. 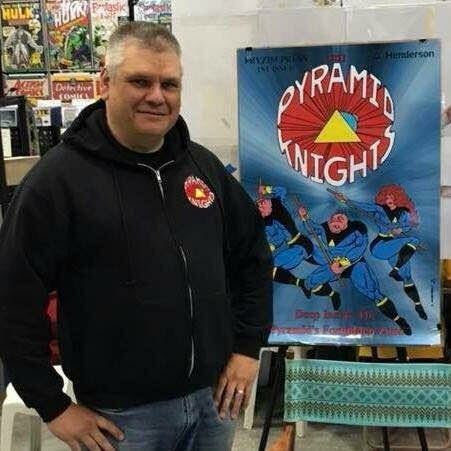 I created the comic book series called “The Pyramid Knights “. I have four issues out there in the Indie Comic Book Universe. Issue four and issue five are penciled by my friend Savy Lim.